Since I’ve been super busy and all over the place lately, it’s been difficult to sit down and do a full, relaxing pizza review, and today was no different. 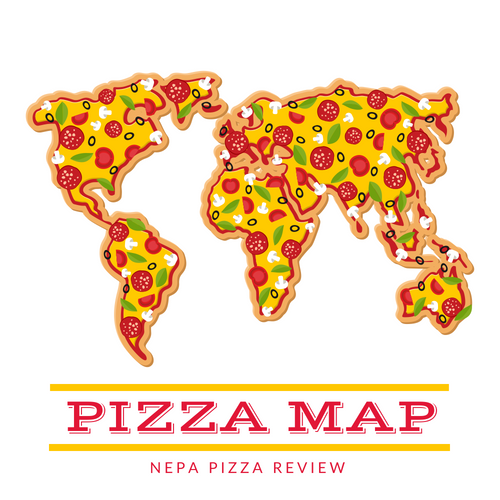 However, I have made a commitment to continue to inform you – the readers of what’s out there on the NEPA Pizza scene. I was in the downtown area looking for a quick slice of pizza or 2 to review so I swung the Pizza Mobile into Granteed’s Pizza which is in Scranton right on Mulberry Street near the University of Scranton. When I walked in, I could tell that this place is probably a hot spot for the College students, but it was clean and eager to serve me. Since I was in a rush, I ordered 2 slices to eat in rather than wait for a full pie. After a few minutes, the cashier called my name from the counter to alert me that my slices were ready, and I quickly ran up and grabbed them. 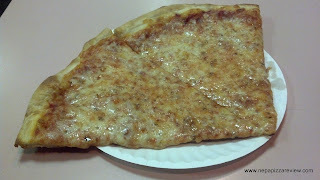 I was thrilled that they reheated the slices properly and that they came from a pretty fresh tray as they were piping hot and looked very good, a classic New York Style pizza with a thin crust. I found out that it was razor thin when I tried to pick up the first slice and it flopped and folded into itself. This slice was going to require the “New Yorker Fold” to consume this because I refuse to use a knife and fork to eat pizza unless I have to. After executing the New Yorker Fold, I quickly noticed that the grease was dripping off the cheese and down my arm. After sprinting back up to the counter to grab napkins to clean myself up, I regrouped and prepared for the taste test. I may add, when I encounter a greasy pizza such as this, I believe in eating the pizza as is. I’m not a “dabber” who soaks up the grease in a napkin before eating, I like to eat the pie in its natural state! What I found was that the very thin crust was quite flavorful and delicious. It was flexible and foldable in the center, and crispy and light around the edges. The sauce was also a little more on the zesty side, and certainly wasn’t sweet, but nothing really out of the ordinary as far as a NY sauce goes. The cheese was your standard mozzarella and really added a little texture and saltiness to the equation which was excellent. Overall, I thought this pizza was pretty good, although there was no characteristic that really made it stand out other than this is one of the thinnest crusts in the 570. 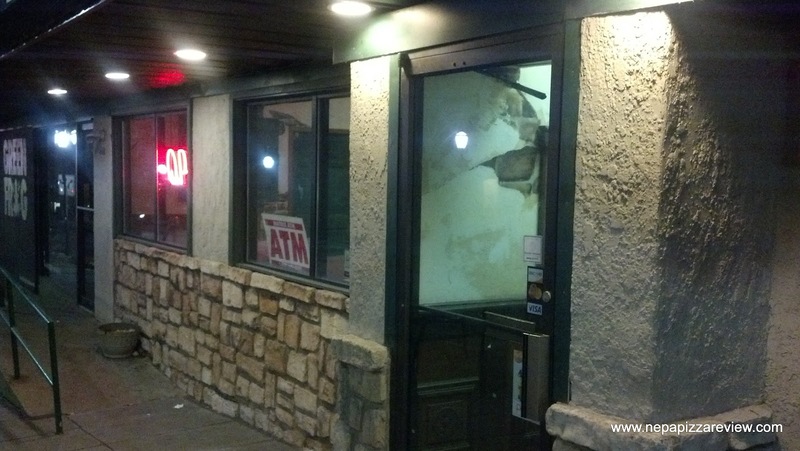 If you are into a true New York Style thin crust pizza at a good price, this place is for you! Love that char on the crust! Hey, that crust shot was for you. Thanks for the tip!